Biofuels are a hot topic nowadays; once viewed as the perfect bridge towards sustainable energy and fuel, they are now regarded by some as non-sustainable, and not a desirable investment. Are biofuels the future? Is this the right, efficient and eco-friendly technology? Materials for Biofuels gives no clear answer, but it paints a very good picture of the current situation. If you’re not familiar with biofuels or at least with basic organic chemistry, than this probably isn’t the right book to start. There are plenty of other books and guides into basic biofuel technology for newcomers. But if you want to dive right into the core of it, if you have the basics down and you want to really understand the modern challenges and advantages of biofuels, then this is the perfect book for you. It starts of with an introduction in Biomass, which anyone with a basic science background should be able to read and understand, but it gets a bit more complicated than that. It discusses some challenges, most notably biomass recalcitrance (the fact that sugars necessary for fermentation are trapped inside the lignocellulose), and how it can be overcome. It then goes through all the steps, from planting the plants to processing the biofuels, detailing each one. Having a background in geology and a few courses in chemistry, I’m clearly no expert on the issue. But I could follow almost all of what the authors were discussing, even though sometimes the chemical formulas were a bit too much for me – I had to just take it as a given. But for people who really want to understand both the broad picture and the details, this is definitely the right approach. I really found myself learning new things and stretching the boundaries of what I knew about biofuels, but again, without at least a couple of courses on chemistry (and/or plant biology), I feel like you couldn’t make the most of it. So all in all, this is the most thorough and well explained book on biofuels I ever got my hands on. It passes through all the stages of biofuel production, it clearly discusses the challenges and how they could be surpassed, and it is very well structured. Every chapter starts of with a clear introduction, builds on, and then draws some conclusions, all based on scientific, peer reviewed papers (every chapter has the list of references at the end). 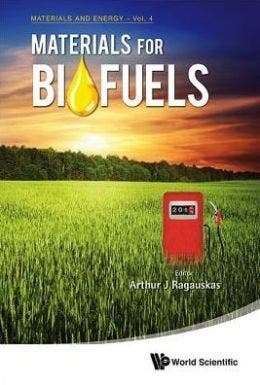 Ideal for understanding more and broadening your horizons about biofuels, but again – this is not an introductory book. If chemistry is not your thing, then this is almost certainly not your book. But if you work in the field, or if you have at least a basic understanding of organic chemistry and want to learn more – this is the reading for you.